This event is the first family day of the Indonesia Primary Immunodeficiency Patients Society. 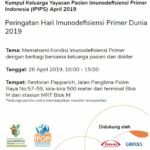 Over 20 family will participate in this event, which will include a family sharing session, doctor sharing session and open discussion on PID-related topics. The event will be held on 28 April 2019 at PappaRich Restaurant Blok M Jakarta from 11.30 PM – 14:00 PM Jakarta time. 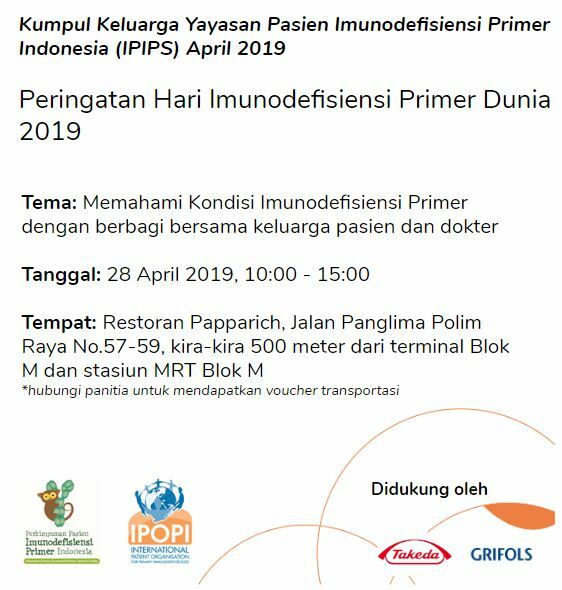 This event is free of charge and with lunch provided for all Indonesia Primary Immunodeficiency Patients Society members.